Sister is back, and class is in session in the long-running, riotous Late Night Catechism series! 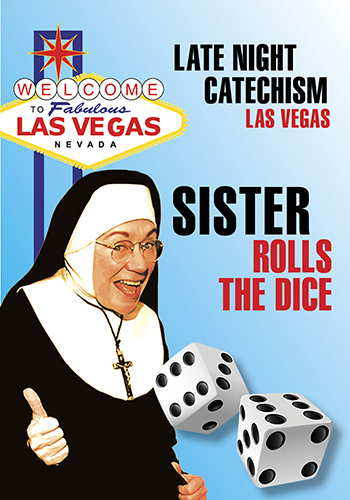 The convent needs a new roof, so who better than the Church-Bingo-organizing Sister to put together a Las Vegas night? Get ready for a wickedly funny lesson on gambling, showgirls, magicians and drive-through marriage chapels. No matter your denomination, if you’re in the Craterian house this night, you’re guaranteed a win!